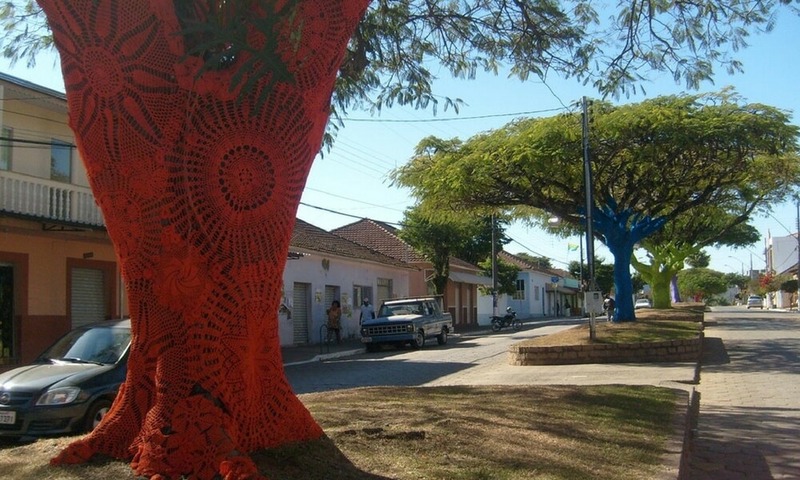 Believe it or not, people in this neighborhood made clothes for trees. Driving down this street would be awesome to see each tree decorated in a different color. Even around Christmas time, wrap lights around the trees, and you got yourself one colorful winter wonderland.